Flooding is a part of life in mountain valleys. 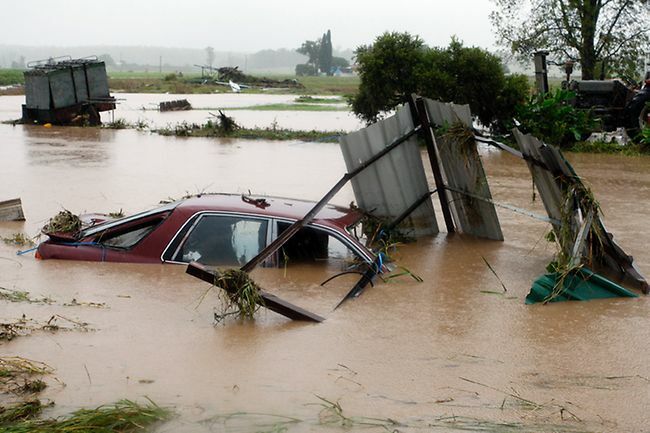 Floods help with natural controls of groundwater replenishment, which is a source of drinking water and they are important for stocking man-made ponds. Floods carry nutrients and sediment which enriche soils, they create a connection between upstream spawning habitats with downstream habitats for a variety of species and other aquatic systems. Seasonal habitats on the flood plain, created by variable flow regimes, are essential for some species life cycle stages. Floods also provide a trigger for both spawning and migration of certain species. They assist with the health and the biodiversity in lakes, creeks, and streams and are essential to the ecosystem. However, due to increased population, development & planning, increased sediment loads, and other impacts floods can be incredibly dangerous. They can wipe out your house and carry your car miles away. So when is flooding a problem? Flooding becomes a problem when you develop houses in a floodplain and when streams have too much sediment flowing through them for the streams capacity. Increased sediment can be caused from erosion, construction, and improper land management. What do you do if you live in a flood zone? Structures can be built such as dikes and levees however, these will have repercussions so the best alternatives are to raise structures, use berms to deflect flooding, relocate, or restore the channel to address the vulnerability. Some other precautions you can take are buying flood insurance (takes 30 days to become active), maintain the natural drainage on your property by cleaning culverts and removing debris from ditches and low lying areas. Clean culverts under driveways, because they are on private property and cannot be cleaned by county crews, keep sandbags and sand on hand if you are in a flood prone area. Plywood and plastic sheeting also work to protect property from flooding. Here is a FEMA Flood Fact Sheet and for more information you can see the Lewis & Clark County Flood Page or contact the Conservation District. Any work done in the case of emergency in or near a perennially flowing stream must be reviewed by the Conservation District. This is a state law. An emergency notice can be filed with the CD within 15 days after completing a project, photos are helpful. Please see the permitting page for more information.